Venice Beach was crowded, constantly, and Camila tended to avoid it, but she&apos;d been touring Lauren around Los Angeles and the area beaches all day and it was a mandatory stop. "We&apos;ll get tattoos and play some street ball," she&apos;d joked, carefully winding her car through the congested, narrow streets. It was about mid-morning when Camila had realized that shuttling Lauren around in a car all day—especially with Los Angeles traffic—was a bad idea. Her girlfriend sat stiffly next to her, staring out the window with her hands jammed in her pockets. Camila bobbed her head, glancing over, "Maybe do some bodybuilding too." Lauren snorted despite herself. She cracked a smile and stared at Camila&apos;s profile. "Yeah? A little weightlifting? A few bench presses?" "And deadlifts." Camila nodded seriously. "Do you know what a deadlift is?" Camila was silent, her expression even and unchanged as she guided them into a parking spot. Without looking at Lauren, she said, "I do." Lauren&apos;s laugh was loud this time and it made Camila smile. 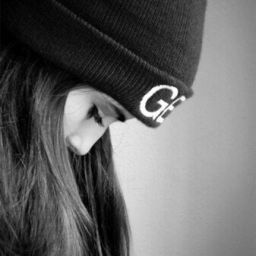 They climbed out of the car and Lauren met Camila on the sidewalk, tapped the brim of her baseball cap. "I can&apos;t lie to you." Camila denied, looping her arm through Lauren&apos;s.
"You can&apos;t look at me." Camila looked down at their feet, at her own flip-flops and bright purple nails and Lauren&apos;s faded canvas slip-ons with a hole in the heel. "Because it&apos;s like you know everything. You can see everything." Lauren grinned smugly. "I do know everything." Camila rolled her eyes and refrained from making a comment about head injuries. 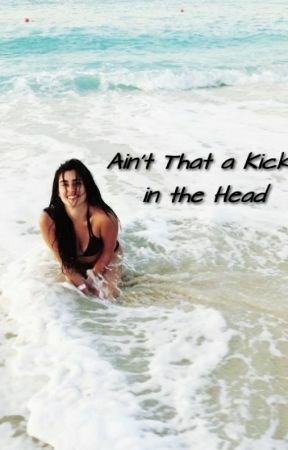 She took Lauren down the boardwalk, basking in the sun and the sound of the waves and Lauren&apos;s hand squeezing hers, sarcastic remarks whispered in her ear. "I can do that." Lauren pointed at a unicyclist as he rolled by, juggling three bowling pins. Camila hummed. "Yes, let&apos;s find more ways for you to hurt yourself." Lauren seemed impressed with the variegated walls and murals and eccentric shops and people, but her focus was mainly on the water and she dragged Camila over to the first squat, blue lifeguard tower she found. She dropped her sunglasses into the collar of her shirt, but they missed their mark and fell all the way to the sand. She was oblivious, so Camila chuckled and picked them up and put them on top of her own head, and then waited patiently while her girlfriend engaged the lifeguard in conversation. "It looks pretty sluggish," Lauren was saying, staring up at the lifeguard. He was leaning over the edge of his tiny tower, listening intently. "Does it pick up when the tide backs down? How big does it get?" "Oh, definitely." He nodded quickly and ran a hand through his dark, curly hair, making sure to inadvertently flex his arms. Camila narrowed her eyes and stuck a finger through Lauren&apos;s belt loop. "It&apos;s pretty dumpy right now, but low tide brings the size." He cleared his throat and rubbed a hand over his bare chest. "It&apos;s waist to head high on the best day. Nothing over eight feet, really." Lauren nodded, blind to his preening. "And how warm? Is it always full suit weather?" He shrugged and lifted himself up on the wooden railing like he was thinking hard, ready to swing around on a pommel horse. Camila scoffed quietly and tucked all of her fingers into the waistband of Lauren&apos;s jeans.